Biography of David B. Duensing, David Duensing &amp; Associates, Inc., Aquatic Construction Services. David began designing and building water features in the 1970s. Experimenting with stone to create natural settings, he launched David B. Duensing & Associates in 1989, one of the nation’s first firms to specialize in waterfall and water garden design, consulting, construction and troubleshooting. He founded Aquatic Construction Services in 2006 to provide construction expertise and services to garden designers nationally. By the mid-1990s, Duensing became active in many aspects of the industry, including pond filtration, product design, manufacturing, distribution and education, while designing and building water features for residential, commercial and public properties throughout the U.S., the Caribbean and abroad. 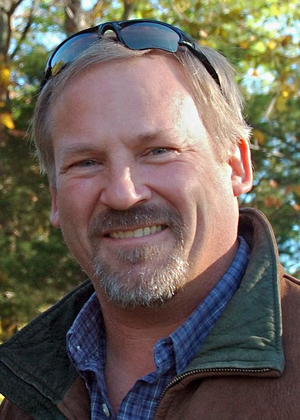 Duensing served as the first President of The National Association of Pond Professionals. He contributed extensively to the association’s original educational curriculum and certification program, and continues to lead numerous seminars annually for members of the water garden, landscape design, swimming pool and irrigation industry. Many of his seminars are accredited for professionals, including those offered through Genesis 3, an international forum for continuing education and establishing high standards in watershape design, engineering, and construction. He is a frequent guest speaker at many regional, national and international water and landscape related conferences, including the 2008 and 2011 American Society of Landscape Architects Annual Meeting. Winner of a Masters of Design award from Pool and Spa News, his designs have been featured in numerous publications, including Water Shapes, Water Garden News, Pondkeeper Magazine, and the Chicago Tribune. Based in Ponte Verda Beach, Florida, Duensing is currently filming episodes of The Pool Masters for Animal Planet and working on projects worldwide.